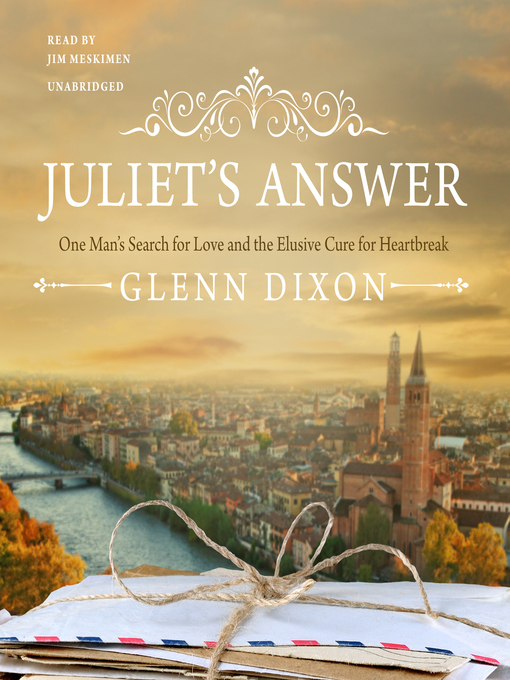 When Glenn Dixon is spurned by love, he packs his bags for Verona, Italy. Once there, he volunteers to answer the thousands of letters that arrive addressed to Juliet—letters sent from lovelorn people all over the world to Juliet's hometown; people who long to understand the mysteries of the human heart. Glenn's journey takes him deep into the charming community of Verona, where he becomes involved in unraveling the truth behind Romeo and Juliet. Did these star-crossed lovers actually exist? Why have they remained at the forefront of hearts and minds for centuries? And what can they teach us about love?